A new smart range of wiring accessories is poised to put a contemporary look into ordinary New Zealand homes and businesses, but behind the slimmer refreshed style there are practical advantages that extend far beyond helping customers keep up with trends. 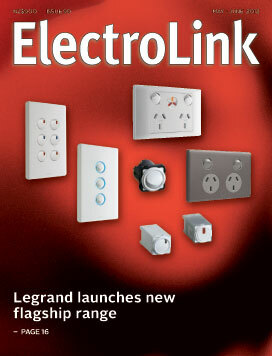 The ‘Excel Life’ range represents a rethink of the way every-day wiring accessories are designed, manufactured and installed, says Jeff Butler, HPM Legrand New Zealand manager. More changes to how installers certify their work should be in place before the beginning of July to coincide with the start of a new financial year for the Electrical Workers Registration Board. Although these changes will not take effect until 1 July 2013, they are being rushed into place now to allow the EWRB a full year to get a new business plan underway without the revenues and duties surrounding the provision of certificate of compliance forms. When he begins one of his ASi familiarisation sessions, the biggest hurdle Mike Moore has to overcome is the natural scepticism that arises when you are looking for complexity that isn’t there. 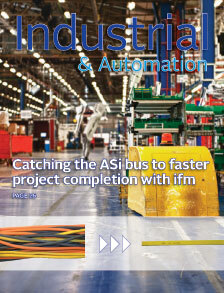 As the New Zealand sales director for ifm efector, a global manufacturer of ASi (actuator/sensor interface) systems, Moore says he doesn’t mind healthy scepticism, because it soon evaporates when people see how reliably a single bus will replace the clutter of parallel wiring on industrial plant. The government has released a draft of new regulations governing the certification of electrical work, but appears to have walked away from using an official compliance symbol to identify certification documents developed by the industry. The purpose of this innovative safety compliance mark was not just to mark compliance certificates that replace EWRB CoCs. It would be the same symbol used to mark appliances and fittings as being safe and compliant in proposed changes to the Australian equipment safety regime that are likely to be adopted here. No matter where you are in the country or the type of project you are working on, you now have a greater choice in lamps and control gear thanks to Osram’s decision to change the way it goes to market in New Zealand. 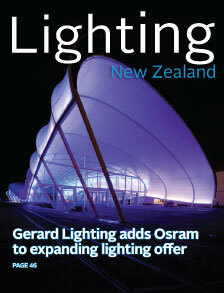 The global lighting company has now formed a strategic partnership with Gerard Lighting NZ to open up access to Osram’s vast catalogue of lighting options and ensure Osram products are readily available through all electrical wholesale outlets in the country. In an effort to put off building new power stations the government has begun a new scheme that provides financial sweeteners to boost the installation of energy saving lighting controls in commercial buildings. If the Energy Efficiency and Conservation Authority (EECA) subsidy and grant programmes are successful, the value of commercial lighting contracts is set to grow as higher value energy efficient lighting and controls replace standard fittings. The attachment of a safety symbol to mark electrical appliances and fittings as electrically safe for use in Australia and New Zealand is the key advance in a new Electrical Equipment Safety System for the region planned for July this year. Known as the regulatory compliance mark or RCM, it is the same mark proposed by Energy Safety for use on certificates of compliance under the proposed new certification regime for prescribed electrical work.